I’ve been so busy setting up a new Etsy shop, stocking it and learning as I go! 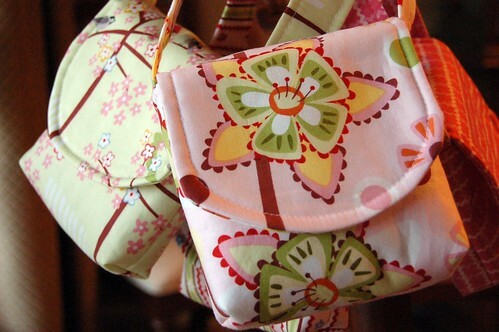 These purses are a special order for a lucky little girl, a set in coordinating fabrics created just for her! Four are pictured, a fifth will be done soon and then they’ll be posted in the shop, reserved for their new owner. They’d make great party favors for the preschool set, wouldn’t they? 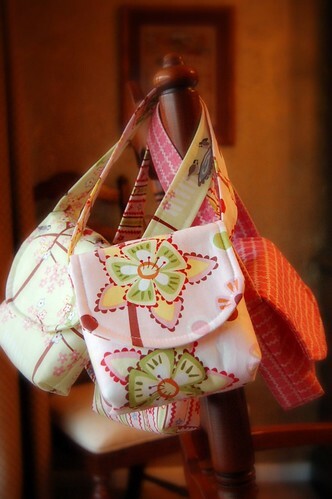 Hope you have a great weekend ahead, full of spare time to get crafty! Very sweet!! Perfect size for little girls…. Mine little princess would love it!